Mjørud deliver various turbine transport and storage containers, trolleys and other related handling tools. Mjørud is supplier of the most robust Gas turbine container available on the marked. Mjørud Gas turbine container is built to protect the Gas Turbine against damages during transport and against corrosion during long term storage. 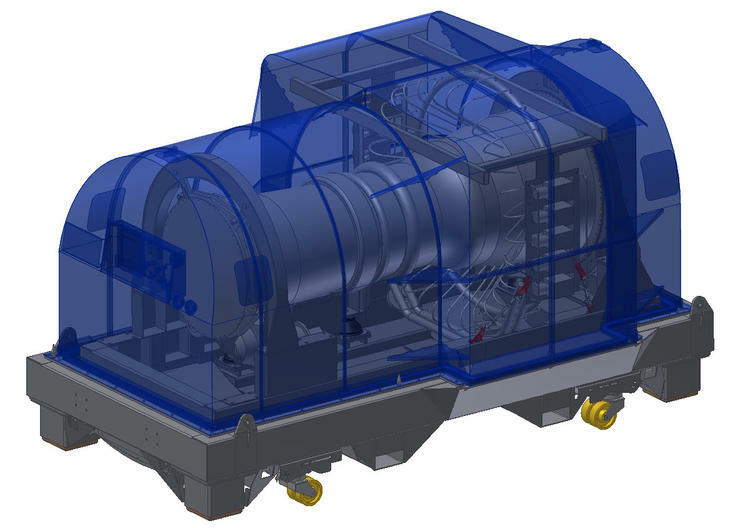 Built-in shock absorbing elements, gas tight construction, pressurised with nitrogen and electronic shock monitoring systems ensures safe transport and storage of your Gas Turbine. Also special handlingtools for lifting and mounting of turbine and related equipment.